Indecent Assault Lawyers Penrith – Representation at Penrith Local Court, are you facing charges for indecent assault or sexual assault Call 02 9261 8640. Indecent assault is a very serious criminal charge. If you have been charged with indecent assault and are found guilty, a court may impose heavy penalties including full time custody (imprisonment). A person with indecent assault on their criminal record will have their employment prospects drastically reduced and will be restricted from travelling to certain countries, among other restrictions that may be imposed. George Sten & Co Criminal Lawyers have over 50 years of experience in defending persons accused of various assault charges including indecent assault and ensuring the best possible outcome is achieved in every case. On 6 May 2018 North Queensland Cowboys player Scott Bolton was charged with indecent assault following an incident at a Bondi establishment. A woman alleged Bolton grabbed her indecently. Generally, indecent assault may include acts such as touching or kissing a person without their consent or against their will. Defending each of these elements is not a simple task and requires an expert criminal defence lawyer to test and challenge the evidence the police seek to rely on. An expert criminal defence lawyer is able to analyse whether proper police procedure has been followed, whether the evidence was obtained lawfully, whether the rules of evidence are abided by and whether the elements of the offence are proved beyond a reasonable doubt. Unless each of these occurs, an accused person may not be found guilty of committing indecent assault. According to the NSW Bureau of Crime Statistics and Research there were 244 counts of sexual assault recorded in the Penrith area in 2017. From 2016-2017 there was an increase of 35.7% of indecent assault counts in the Sydney area. 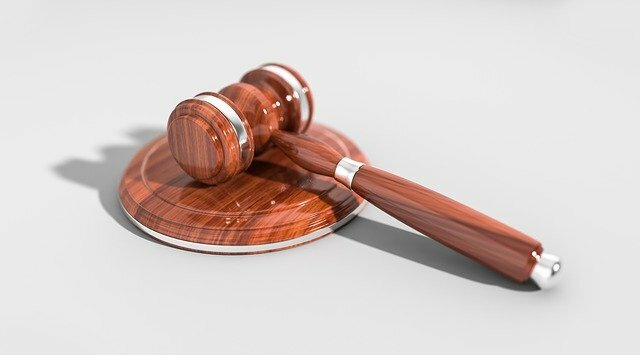 If you live in the Penrith area or have been charged with committing an indecent assault offence in the Penrith area, your matter will likely be listed in the Penrith Local Court. All criminal matters begin in the Local Court and depending on the seriousness of the alleged offence, may progress from the Local court to the District or Supreme Court. It is in the accused person’s interests to avoid having their matter progress from the Local Court as the penalties that may be imposed in the District and Supreme Court will generally be heavier. An expert criminal defence lawyer may be able to avoid having a matter progress to a higher court by arguing points which will convince the court the matter should remain in a lower court. The court a criminal matter is finalised in and the penalty (if any), which is imposed, depends on the reliability and quality of the evidence the police seek to rely on as well as the seriousness of the offence. Indecent assault is a very serious offence and if a person is found guilty, apart from possible imprisonment, they will find their employment prospects are drastically reduced and they may be shunned by the community. The seriousness of an offence depends also upon the existence of any ‘aggravating factors’. Aggravating factors are factors, which if proved to exist, make an offence more serious or worse in the eyes of the court. These include factors such as the offence being committed in company (i.e with other people present), the offence being committed upon a young person, the offence being committed on a person who was under the care or authority of the offender or the victim to the offence having a serious physical or intellectual disability. If any one or more of these factors are proved to exist, a court will impose a heavier penalty for the indecent assault. It is in an accused person’s best interests to test and challenge the evidence including any alleged aggravating factors. The most important aspect in a criminal matter is the evidence the police seek to rely upon. Unless the police are able to lawfully obtain evidence and admit that evidence in accordance with the rules of evidence, it cannot be used against the defendant. An expert criminal defence lawyer is able to challenge each of these processes. If you have been charged with indecent assault, it is essential to retain expert legal representation to ensure the best possible outcome is achieved for you. Contact George Sten & Co Criminal lawyers. We are available 24 hours a day, 7 days a week and can be contacted on (02) 9261 8640 during business hours or 0412 423 569 outside of business hours. We may also be contacted via email at georgesten@criminal-lawyer.com.au.